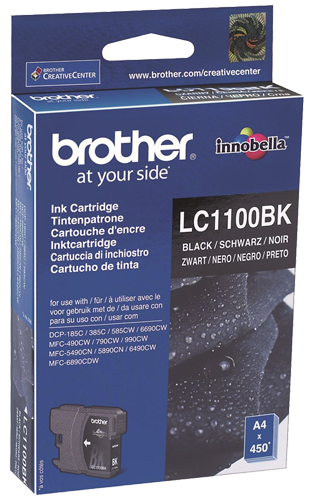 For optimum printing performance, print your monochrome documents with Brother LC1100BK ink cartridges. 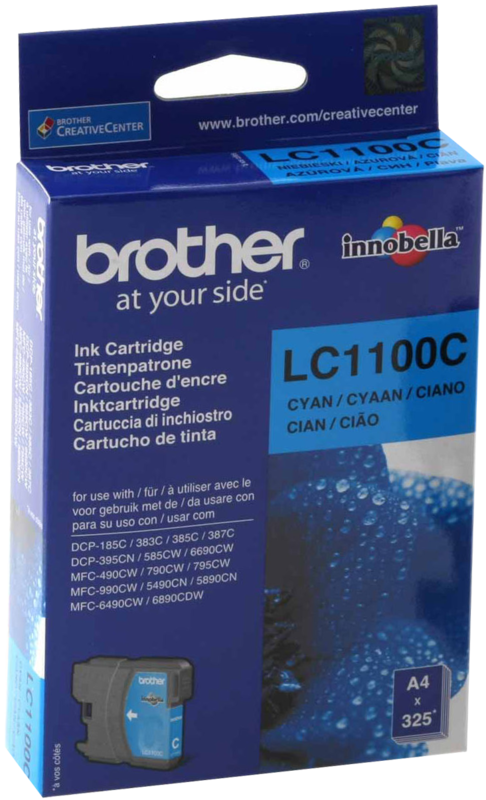 Sharper and smoother images can be produced on different types of paper and speciality media when the Brother printer is equipped with a genuine Brother LC110C cyan ink cartridge. 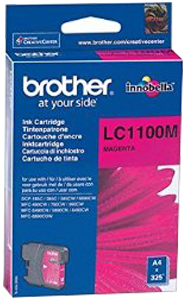 Precision engineered for high quality printing, the Brother LC1100M magenta inkjet cartridge has an exceptional design that guarantees print accuracy and quality. 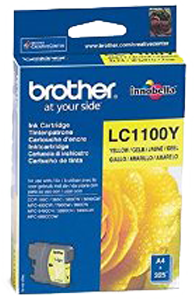 Long-lasting and beautiful printouts are possible on a wider variety of paper types when the genuine Brother LC1100Y yellow ink cartridge is used. 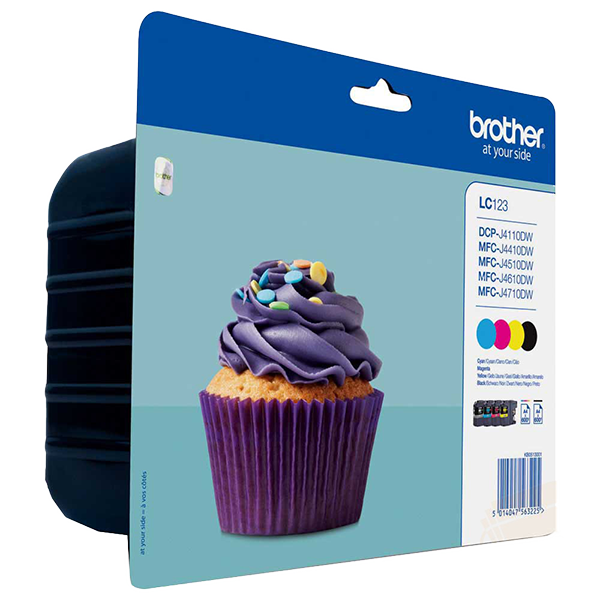 Save money and protect your investment by purchasing a genuine Brother LC123VALBP 4 colour ink cartridge multipack. Each Brother LC123VALBP ink cartridge in this pack of four (LC123BK, LC123C, LC123M and LC123Y) is suitable for low-volume printing needs.